Extensible Mark-up Language (XML) is a popular format used for sharing data on the internet. 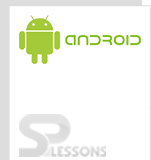 Android xml parser allows you to parse XML data in Android applications. 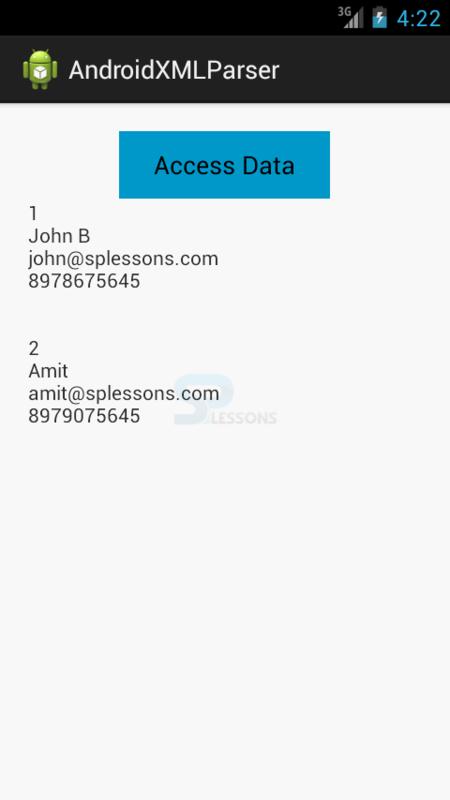 Of all parsers, Android recommends XMLPullParser as it is observed to be exceptionally efficient and easy to use. 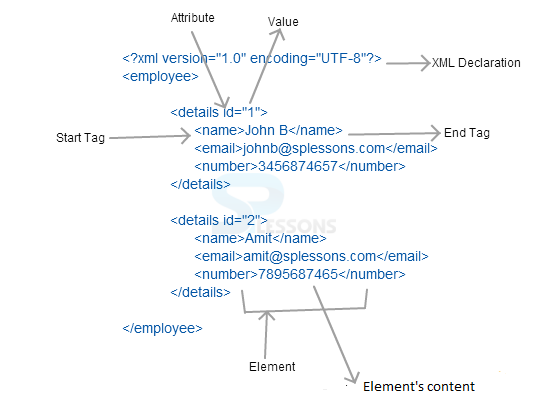 In this lesson, we are going to explain how to parse the XML file and extract information from it. 1)Prolog: An XML file consists of a prolog. The first line that contains information about a file is prolog, which is generally the version number and represented in UTF format. 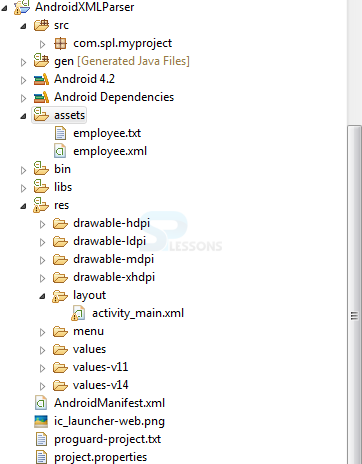 2)Events: An XML has many events such as Document Start, Document End, Tag Start, Tag End, etc. 3)Text: XML also contains a simple text. Ex: “John B” in the above shown xml file. 4)Attributes: These are additional properties of XML. Ex: id in the above shown xml file. First create XMLPullParser object by calling its newPullParser() method by using the XMLPullParserFactory object. getEventType(): returns the type of event that happens. e.g: Document start , tag start, etc. getAttributeValue(): returns the value of “id” tag. If you are accessing data from the server using HTTP connection, add Internet permission to your AndroidManifest.xml file.